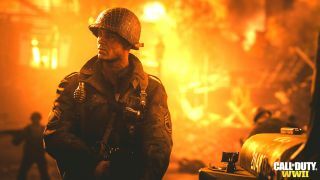 Call of Duty WW2 developers Sledgehammer will be hosting a series of livestreams to take "an in depth look" at the making of this year's COD. You can check out an introduction video from studio co-founders Michael Condrey, and Glen Schofield below. The first stream will be happening today at at 3pmPT/11pm BST and feature campaign creative director and animation director Chris Stone. No word yet on what we'll see but hopefully there'll be some new footage and info on the campaign. If you need some more info then we've loads of Call of Duty WW2 info direct from Michael Condrey, or find out about the new COD Zombies mode which is teachingn some big changes.